Chief Minister Naveen Patnaik launched Special Development Council (SDC) for nine tribal dominated districts at a colourful function here today and termed it as a historic day to further conserve and ensure the socio-economic-cultural development of tribals of Odisha. Though the SDC have been constituted in all the nine districts and the Chairpersons with their respective teams have assumed office, Chief Minister Naveen Patnaik formally launched it here. The districts in which SDC has been established are- Mayurbhanj, Keonjhar, Sundargarh, Kandhamal, Gajapati, Koraput, Rayagada, Makangiri and Nawarangpur covering 14 lakh people in 117 blocks and 1886 Gram Panchayats. The delegates of all the nine SDC districts attended the launching ceremony. Each tribal block under the SDC would be given Rs 1.50 crore for the purpose and the state would provide Rs 175 crore per annum. The SDC will focus on preservation and promotion of tribal culture and traditions, heritage and unique identity of tribal communities in tandem with their socio-economic development. It would work for the conservation of tribal culture aligned with development activities, propagate tribal culture for retaining tribal identity, recognize and promote indigenous knowledge system of tribal, documentation of tangible and intangible tribal culture, tradition and practices. The council would organize exposure visits for the opinion makers of tribal communities, promote tribal language for developmental communication, optimal utilization of available resources in tribal areas for sustainable development. 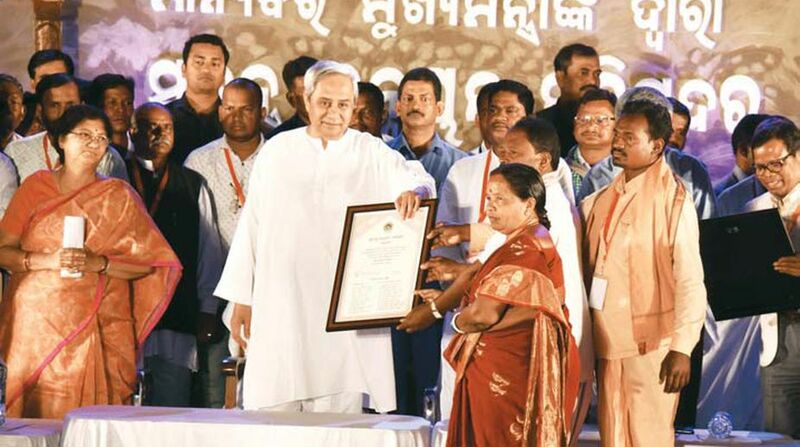 Chief Minister Naveen Patnaik underlined the need to preserve and promot tribal culture and give an impetus to education of tribals.Tribals are the pride of Odisha, there are 62 tribes in the state and each have their unique culture, music and tradition. The SDC will ensure that these are preserved, their places of worship protected and they are economically benefited, he said. “You will initiate your own programmes and steps to preserve and promote your culture, tradition,” he said to the tribals. He pointed out that each of the tribe is represented in the Council and an eminent tribal heads each of the nine bodies, he said. Odisha is a leading state in tribal development, he claimed. The Council has a Vice Chairman and a number of members all from the tribal community. This apart the government also nominated three experts in the field of tribal development. The head quarters of each of the SDC would be at the District Headquarters of the concerned district. The Chairpersons of the Council will enjoy the status of a minister of state and the Vice-Chairpersons of the Council the status of Vice-Chairpersons of the Zilla Parishad while the members of the Council are accorded the status of members of Zilla Parishad. The launch was followed by a tribal dance and music programme. An exhibition of tribal art and handicraft was also organised.